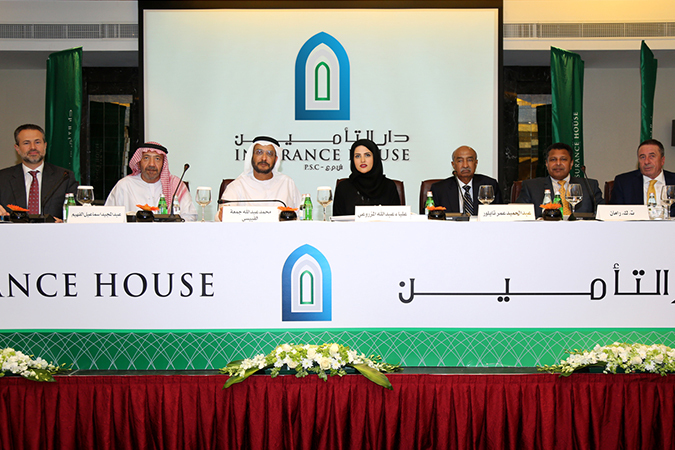 Abu Dhabi – March 21, 2018 – Insurance House PSC (IH) held its sixth Annual General Meeting and presented encouraging financial results to its Shareholders for the year ended 31 December 2017. A net profit of AED 8.12 million was registered for the year ended 31 December 2017. Gross Premiums Written (GPW) during this reporting period totaled AED 213.47 million. 43% of Total Assets (AED 109.08 million out of AED 254 million) are now in cash or cash equivalents. In compliance with regulatory requirements, IH exited from several high yielding, investment grade fixed income securities that were not “A” rated. This resulted in a substantial increase in cash and cash equivalent assets (43% of IH Total Assets). In addition, Al Qubaisi stated: “Net Underwriting Income for the year ended 31 December 2017 catapulted to AED 41.38 million compared to AED 5.15 million for the previous year ended 31 December 2016. In closing, Alqubaisi said: “We remain optimistic of our profitable growth potential in the near future. Our strategy is to continue to offer reliable insurance products coupled with superior service quality. Going forward, we seek to achieve enhanced profits not only from our core insurance activities that are already delivering stellar results, but also through redeploying our cash pile in a well-diversified investment portfolio that is fully compliant with Insurance Authority regulations”.